Information on documentation and reporting requirements for the reading of outside films is often a complex yet necessary component of being billed appropriately for medical encounters. Radiology coders need to understand the necessary comparisons for the interpretation and review of outside films and report with specific procedure codes. If the radiologist reviews outside films for comparison with a current study submitted for interpretation, the review of the outside films are included in the interpretation of the current study and not billed separately. 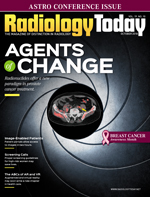 "When a radiologist reviews prior images performed either at the same institution or from an 'outside' facility at the time he or she interprets an 'inside' study, it is not appropriate to code separately for the review of the previous examination," according to the ACR Radiology Coding Source. "The review of the outside institutional examination is no different from reviewing old inside studies at the time of the interpretation of the new inside services. A comparison with old studies, when available, is an integral part of the interpretation of any study, regardless of where they were performed." • Modifier 77 will also be applied to indicate a "repeat procedure by another physician." • The date of service will be that of the current radiology interpretation. • There is no technical component charge. In order to demonstrate the medical necessity for payer consideration for reimbursement, the report should also state the purpose of the interpretation and the name of the physician that requested the new interpretation. Code 76140 is a professional-only code created for use when a radiologist is asked to provide a second opinion, eg, overread, on an imaging exam taken elsewhere and previously interpreted by another physician. It should be noted that Medicare and many other payers do not reimburse for code 76140, as it has no relative value units assigned to it because it does not reflect a specific exam. Also, code 76140 should be used if the payer specifically recognizes and requests the use of this code for second interpretations. The Medicare Claims Processing Manual, Chapter 13, Section 100.1 states carriers must pay for only one interpretation of an EKG or X-ray procedure furnished to an emergency department patient. It further instructs, "They pay for a second interpretation (which may be identified through the use of modifier "-77") only under unusual circumstances (for which documentation is provided) such as a questionable finding for which the physician performing the initial interpretation believes another physician's expertise is needed or a changed diagnosis resulting from a second interpretation of the results of the procedure." — Stacey Hall, RHIT, CPC, CCS-P, RCC, is the senior director of corporate coding with Zotec Partners. Outside MRI brain without contrast. Torticollis. A 5-month-old patient underwent an MRI four days ago that reportedly shows evidence of a subdural fluid collection. Second opinion requested by Dr. X. As described in the outside report there are small intermediate-T1 signal and high-T2 signal subdural fluid collections in the left mid convexity and right anterior convexity. The left-sided subdural collection measures between 4 mm and 5 mm in thickness. The smaller right anterior convexity collection is slightly over 4 mm in thickness. No midline shift. Normal appearance of the brain parenchyma. No hydrocephalus. No restricted diffusion. Right posterior parietal/occipital region flattening of the calvarium. Small bilateral subdural collections with intermediate-T1 and high-T2 signal. Exact dating of these collections is not possible. They are not likely to be acute.